by Michael Menke, President, Value Creation Associates, U.S.A.
"Technology Development Envelope (TDE): An Approach for Strategic Technology Planning"
To survive in today's fast changing business environment, technology-based companies continue to invest in the research and development of technologies, particularly emerging ones, in order to enhance a company’s competitiveness. The Technology Development Envelope (TDE) is a new concept and methodology to link between technology and the business strategy so that managers can understand where technologies are going in the future and how well technologies fit into their corporate strategy. The TDE model is developed based on the fundamentals of technology forecasting, identification, assessment, evaluation, and selection. The analysis result is presented in the form of technology development paths. The path connecting technologies with the highest strategic value over the time periods is considered as the optimum path which a company should follow. The path that a company selects to invest in can be referred to as a company’s technology development roadmap. The application of TDE can help technology developers and technology implementers to assure that their technology strategies are in full support of corporate goals and objectives. This short course will cover the step-by-step development of a TDE model along with several case examples to demonstrate how the TDE concept can be applied. Dr. Nathasit Gerdsri is an Assistant Professor and Program Chair of the New Technology Venture in the College of Management at Mahidol University, Thailand. He is also a visiting faculty at Europa Institute of MBA in Germany. His primary research areas are focused on integrating technology strategy into the business strategy. His research activities in this area are carried out through academic, training, and consulting projects with several organizations, and his research outputs have been published in several journals. Dr. Gerdsri has also worked with Intel Corp./R&D Lab located in Oregon (USA) as a technology developer and research program coordinator from 2001-2002. Dr. Gerdsri received his Ph.D. in Systems Science/Engineering and Technology Management from Portland State University, USA, in 2004. His Ph.D. dissertation was on the development of the technology development envelope (TDE) for roadmapping emerging technologies. A part of his dissertation was selected for the PICMET '05 Outstanding Student Paper Award. He is also listed in Marquis Who’s Who in the World. Dr. Michael Menke, President, Value Creation Associates, U.S.A. The course includes several case studies from actual organizations and a participative exercise where participants have to select a portfolio from a collection of possible projects that greatly exceeds the available budget constraint. Dr. Michael Menke is President of Value Creation Associates, a Fellow of the Society of Decision Professionals, and Visiting Adjunct Professor at Portland State University. He assists a wide range of companies with strategy, decision-making and portfolio management. Formerly he was the Chief Portfolio Advocate for Hewlett Packard (HP), advising executives and working teams at all levels and in all segments of HP on strategy development, portfolio management, decision-making and new business creation. Before joining HP he was a founding partner of Strategic Decisions Group, a consultancy where many of the portfolio management approaches in use today by leading companies were initially developed. He has consulted with Alcoa, Amgen, AT&T, Bayer, Chevron, DuPont, Exxon, Ford, GSK, HP, IBM, J&J, Kodak, Lilly, Mitsubishi, Novartis, Owens-Corning, Pfizer, Roche, Shell, Sumitomo Electric, Texas Instruments et al. on strategy, major decisions and/or portfolio management. He is co-author of Project Portfolio Management: A View from the Management Trenches, has been participating in PICMET for over 10 years, is a founding member of the Enterprise Portfolio Management Council, and has also been an invited speaker at dozens of international conferences on portfolio management, innovation, R&D/technology and business strategy, and decision making over the past 30 years. "Text and Link Mining: New Tools for Technology and Innovation Management"
Capability for technology foresight and business development plays a vital role for anyone and any firms. However, globalization and the rapid development of business and technology have made it difficult to comprehend technology and business progress and design new R&D and business strategies based on reliable information and understanding. In the current academic literature on technology and innovation management, there exists an emerging research domain to utilize text and link mining for analyzing large volumes of data, concepts and documents, and to seek new possibilities of research and development opportunities. This short course will cover the basic approach and algorithm of text and link mining including data collection, natural language processing, network analysis, and machine learning. Using several case examples, it will be demonstrated how these methodologies can analyze academic publications, patents, and other information sources to derive fruitful implications for technology and innovation management. Dr. Yuya Kajikawa is a Project Lecturer at the Innovation Policy Research Center in the School of Engineering, University of Tokyo. He is also a faculty member of the Department of Technology Management for Innovation at the University of Tokyo. Dr. Kajikawa is a cooperative professor at the Integrated Research System for Sustainability Science (IR3S) and a project researcher at the Center for Low Carbon Society Strategy in the Japan Science and Technology Agency (JST). He has a PhD in Chemical System Engineering from the University of Tokyo. His research interests include technology management, knowledge management, and structuring knowledge for innovation policy and green innovation. He has more than 50 papers in peer-reviewed journals and 50 papers as conference proceedings. 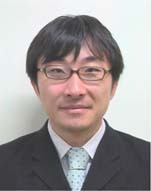 He is an Editorial Board Member of the Journal of Science Policy and Research Management and the Journal of Japan Society of Sports Industry. He serves as a member of the Editorial Advisory Board for Technological Forecasting and Social Change. "Technology Management Practices Across Borders"
This short course examines what constitutes "effective" technology management across borders by introducing the concepts and models related to technology management practices. Participants are challenged to go beyond organizational boundaries and consider interactions between various players in local and global markets over the supply chain toward developing coordinated strategies. The objective will be to learn how to design and implement internationalization strategies for structure and management both within the firm and across an industry value chain among interacting network partners. The workshop will introduce analytical tools to assess performance tradeoffs, and participants will become familiar with cross-cultural issues and technology management strategies. Dr. Dilek Cetindamar is a Professor at Sabanci University. She received her B.S. degree from the Industrial Engineering Department at Boğaziçi University (BU), Turkey; her M.A degree from the Economics Department at BU; and her Ph.D. degree from the Management Department at Istanbul Technical University in 1995. Before her appointment to the Faculty of Management at Sabanci University in 1999, she worked at Boğaziçi University, Case Western Reserve University (USA), Portland State University (USA), and Chalmers University of Technology (Sweden). She was at Cambridge University, UK, as a visiting professor in 2008. She participated in many international projects, including UN and EU projects. She has 48 publications, including 25 papers published in various international journals and eight books. She received an "encouragement award" from the Turkish Academy of Sciences in 2003. Her main interest and research topics are entrepreneurship and technology and innovation management. She is a member of the Technology Management Association, the International Association for Management of Technology, Schumpeterian Society, European Institute for Technology and Innovation Management, and the Academy of Management. "Delivering an Emerging Technology: A Multi-Actor Perspective"
A distributed approach is needed in the delivery of new and emerging technologies. Technological choices are increasingly distributed across teams, organizations, economic sectors and even nations. Stakeholders in the technology delivery system each make their own choices. These choices have consequent impacts on the form, function and adoption of the emerging technology. These decisions are intensely strategic – the decisions made by one actor consciously and deliberately affect the choices made by others in the system. Engineering management is enhanced by adopting a strategic, social perspective on technology. Engineering managers can thereby shape and coordinate the delivery of emerging technologies. • Highlighting the distributed, systematic nature of technology delivery. • Evaluating existing cases across numerous industries where strategy has played an important role in technology delivery. • Analyzing a technology delivery system using the best available methodologies. • Recommending strategies and courses of action to shape the delivery of new technologies. • Generalizing the insights gained from multiple industries and sectors with the best available theories of social change. This four-hour course is divided into three parts. We discuss diverse cases drawn from ecological management, manufacturing, technological design and institutional design. Our goal in the cases is to highlight a common set of strategic issues in the delivery of an emerging technology. We then turn to a set of methods for the diagnosis of technology delivery systems, and the design of effective strategies. The course offers hands-on experience applying hypergames and stakeholder analysis to engineering and technology management problems. In the third and final part of the course we describe and discuss new theories of strategic technology management. The theories are used to extend and generalize the findings of the course. Dr. Scott Cunningham received degrees in engineering, and in policy, from the Georgia Institute of Technology and the University of Sussex, Science Policy Research Unit. He has worked in the field of national foresight, providing indicators of science, knowledge and technology development to government decision-makers. He has also worked in the field of business intelligence, delivering knowledge discovery and data warehousing solutions to customers in the areas of manufacturing, retail and e-commerce. He joined Delft University of Technology in 2003, working as an assistant professor in a department of multi-actor systems. He teaches courses in technology design and technology strategy. He actively researches infrastructure policy for the Next Generation Infrastructure Foundation.